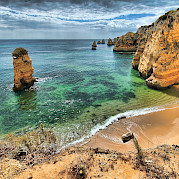 This cycling tour in Portugal follows the coastline of north central Portugal, known as the Atlantic Way. 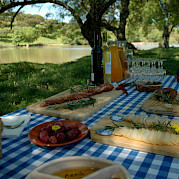 Discover some of the cultural and natural beauties of this land. 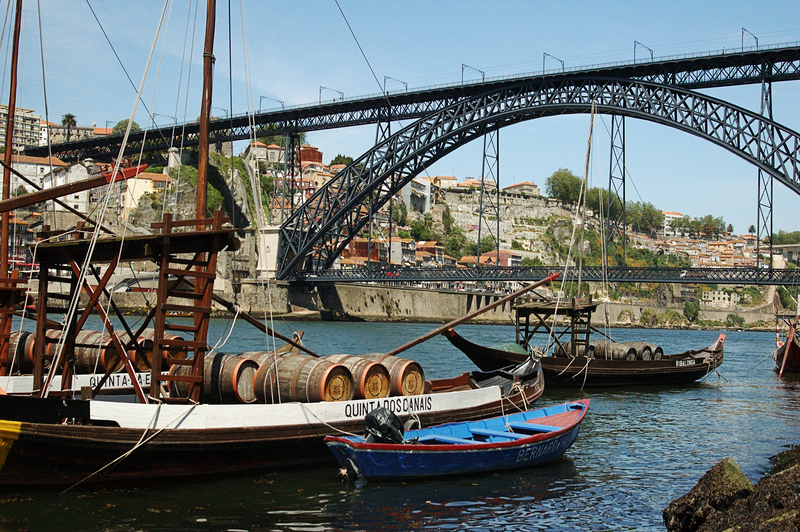 The route starts at Porto, renowned place for its Port wine and wine cellars, it is a vibrant city full of history and cultural sites to unveil. 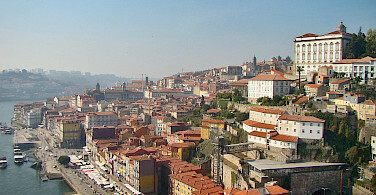 The town of Porto is classified by UNESCO as a World Heritage site. 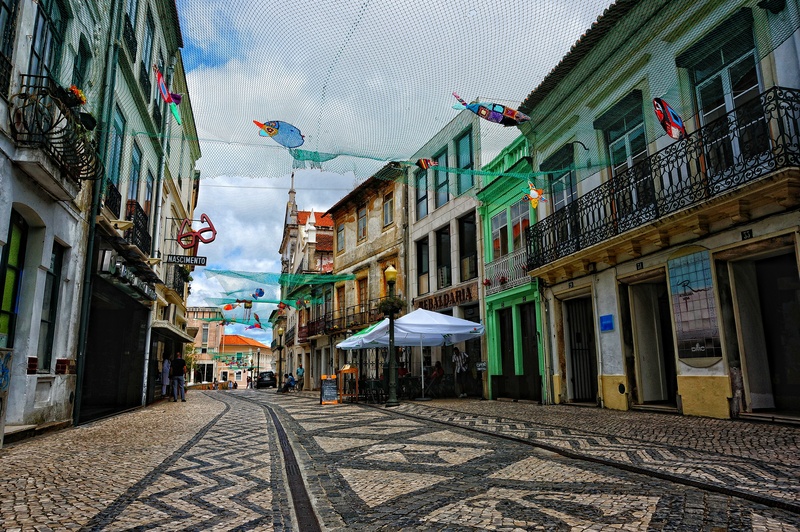 From the narrow streets and alleys of the old town, the route crosses along the coastline past beautiful beach resorts and small towns which give insight to Portuguese culture. 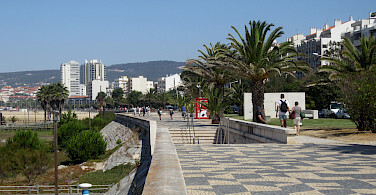 The route crosses the São Jacinto Dunes Natural Reserve and the Ria de Aveiro, the estuary of the Vouga river. 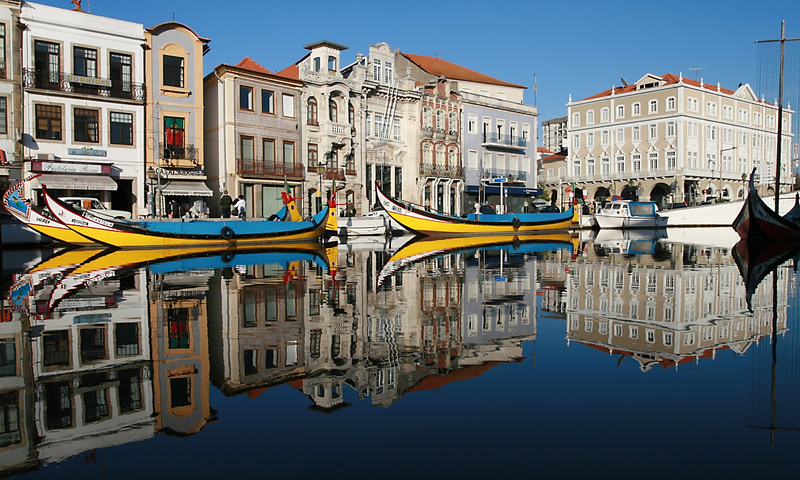 Aveiro City, Portugal's little Venice, is another highlight of the tour. 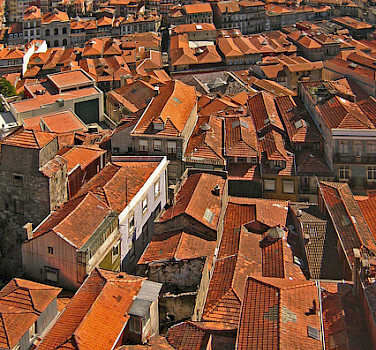 See a complete list of our bike tours in Portugal here. *If traveling solo (without other persons) a solo traveler supplement will apply. This is in addition to the single supplement! 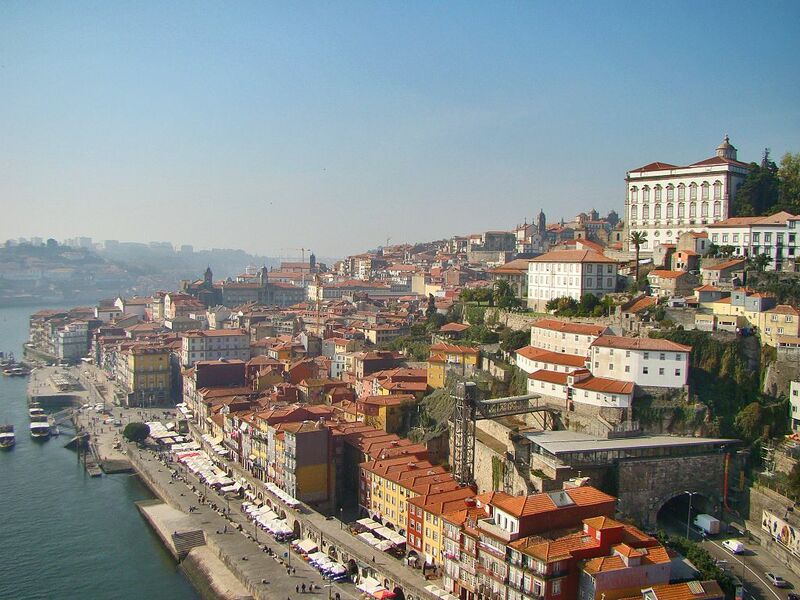 Fly to Lisbon or Porto Airport. 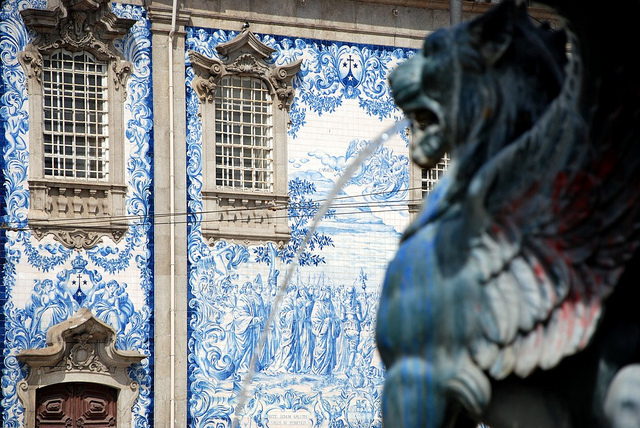 Transfer from Porto airport to starting point of the tour is included. 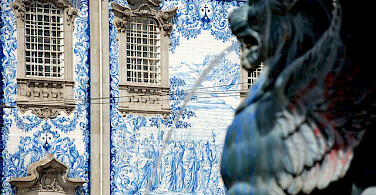 From Lisbon, take a train to Porto (approximately 3 hours). This tour can be combined with our Atlantic West Coast Tour! This tour is rated easy to moderate featuring 21 - 67 km per day. See each day’s description for change in elevation.The only steep uphill that you will encounter is on Day 5 and that is only a 200 meter elevation gain. The last day has a bit more distance than is usually offered on an easy tour and features rolling hills. Thus we feel we should give it a rating of easy to moderate. Accommodations offered in superior hotels. Extra nights are always recommended! Arrivals possible daily in 2019. The weather is ideal between May and October. 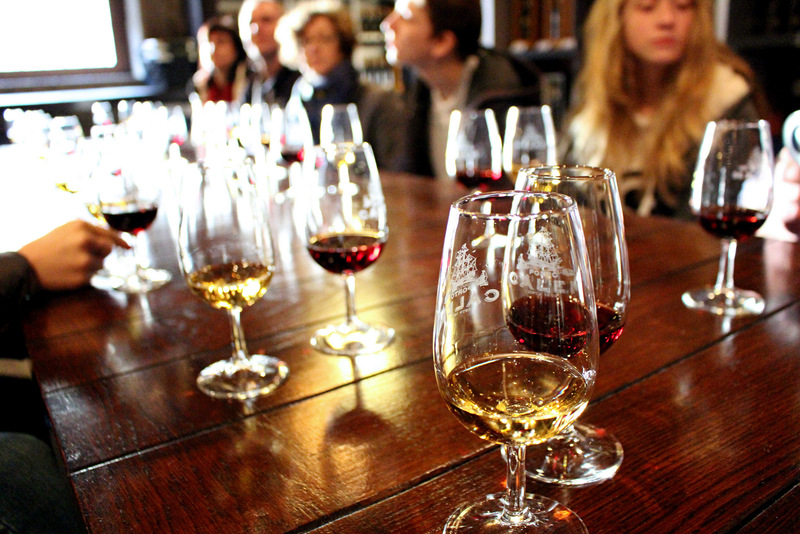 *Guided tours can be organized for groups of 6 or more. Transfer from the airport in Porto to the starting hotel (approximately 20 min). 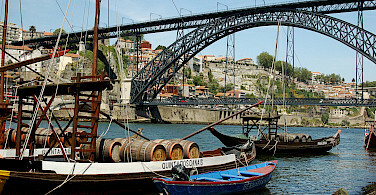 Porto a vibrant city. 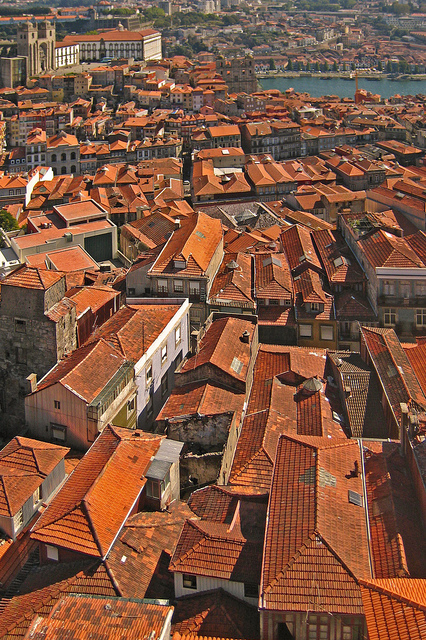 In the old town, granite houses line the narrow streets that are ideal for a stroll. 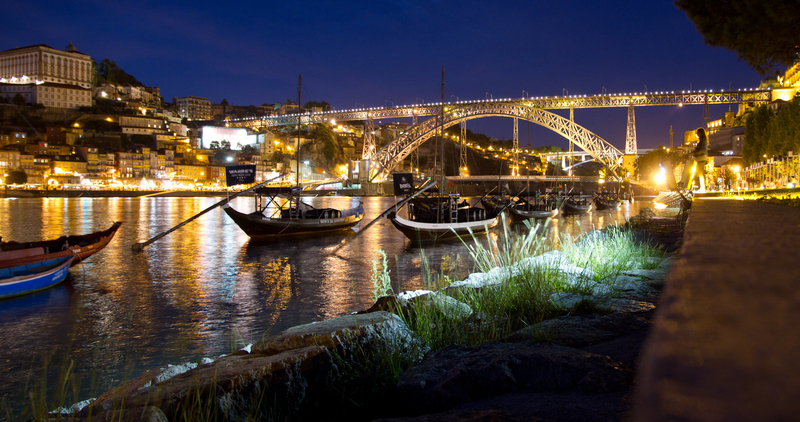 After arrival, explore the city of Porto. 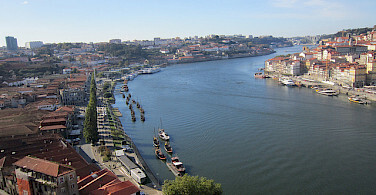 The day begins in Porto, the old town, to cross the Don Luís Bridge, designed by French civil engineer and architect Gustave Eiffel. 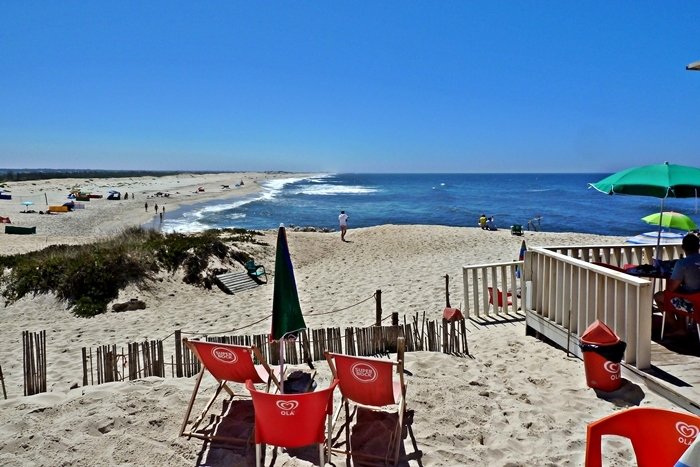 Almost all the way to Espinho, you will follow a cycling path near the coastline, crossing numerous small beaches. 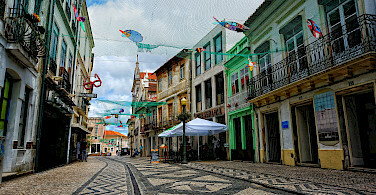 Praia de Valadares, Francelos, and Miramar are good spots to take a bath and enjoy the sun. 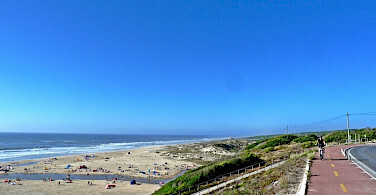 Praia de Miramar is worth a stop to visit a small chapel by the sea, the famous Capela do Senhor da Pedra. 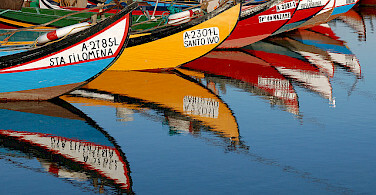 Tour ends in either Espinho (superior option) or Esmoriz (budget option). The two villages are right next to each other. 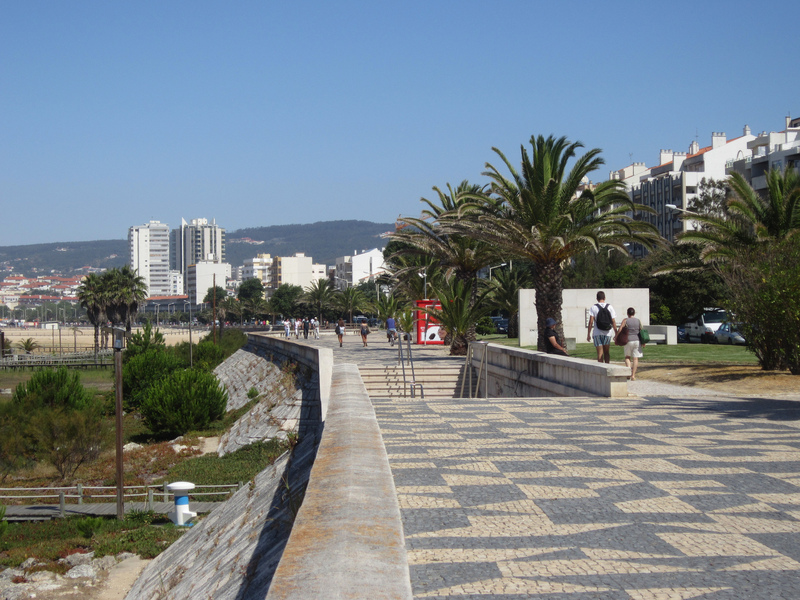 Today's route is easy and enjoyable along the sea. 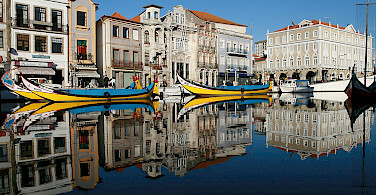 The route includes pine forest trees and the Ria de Aveiro. 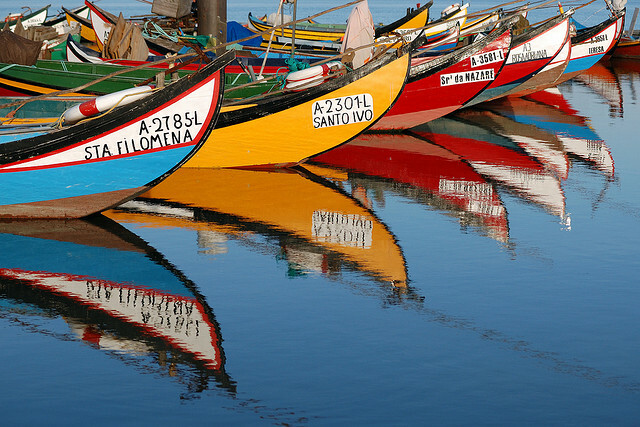 The river Vouga Delta (Ria de Aveiro) is a favorite place to catch shellfish and to enjoy water sports. The dune system of São Jacinto is a Natural reserve providing bird enthusiasts a good opportunity watch wildlife. 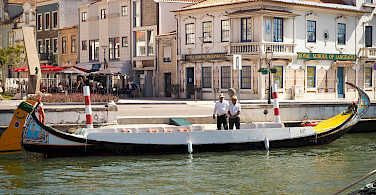 In São Jacinto, catch the ferry to Aveiro. 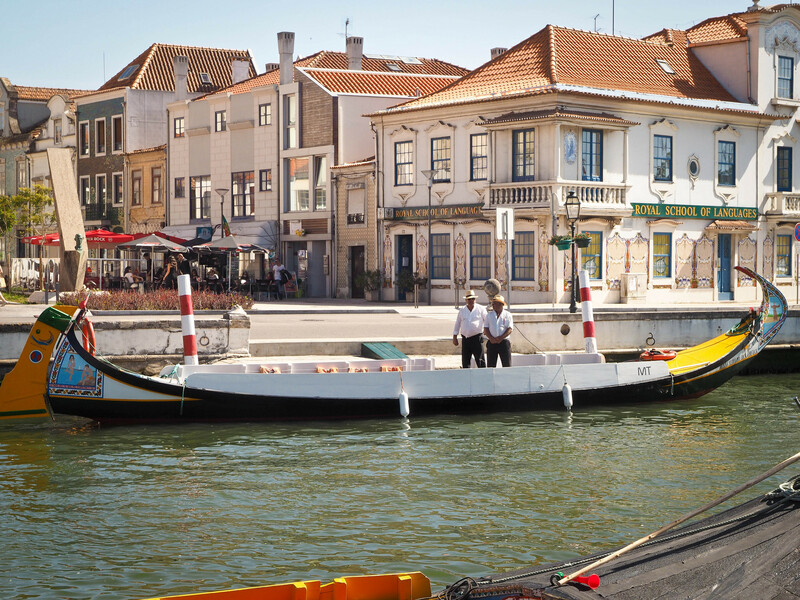 Leaving Aveiro, you'll follow a path that crosses a land of salt harvesting ponds with interesting views of the old ancestral works in the estuary. Ahead the route follows one dock, offering views of the arbour and some old Codfish Boats. Soon you’ll cross the bridge and arrive in Barra Village and cycle south along a bicycle path which avoids the open road. As you cycle, the scenery changes to small fields and vegetable gardens until you reach Mira Beach. One day of solitude crossing one of the biggest dune systems covered in a pine tree forest. Here one can feel quite small while cycling through this immense green scenery, on nearly empty roads. 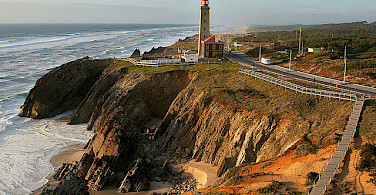 Near Figueira da Foz, you'll experience the first big climb of the day. 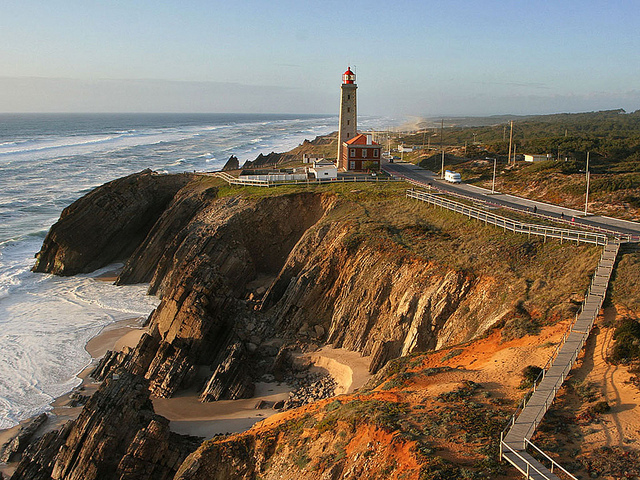 Cycling up to the Serra da boa Viagem and then down to the lighthouse of Cape Mondego. 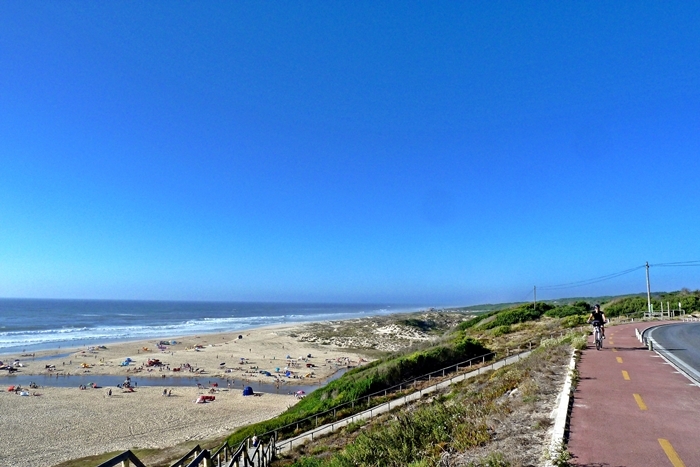 Then follow the slopes of the hill into Figueira da Foz with its vast sandy beach. Cross the bridge over the Mondego River. 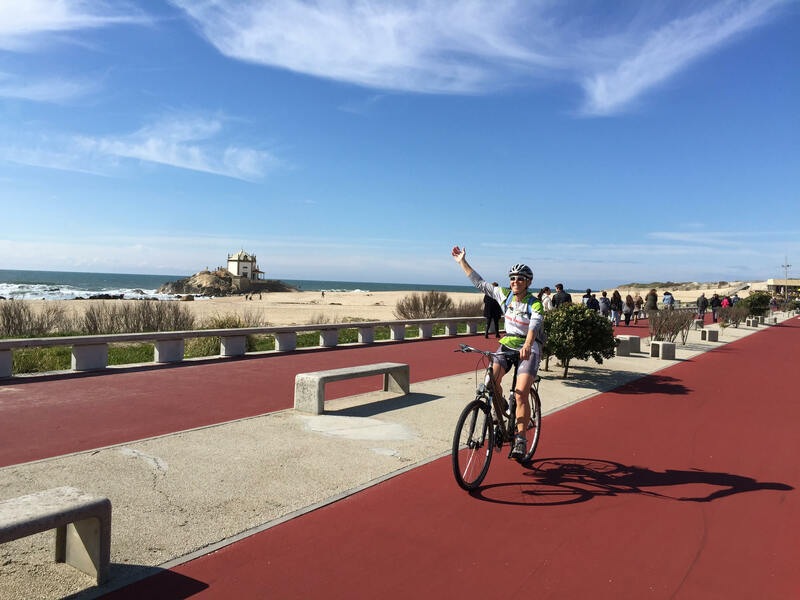 Cycling further, arrive near Carriço you will enter the Atlantic way, a designating cycling path that leads through the Pinhal de Leiria. Along the way, pass a pine tree forest which was planted by orders of a king of the XIV century in order to have timber to build the fleet, the one who will discover the world and the maritime way to India (hundreds of years later). The cycling path which crosses this immense pine forest also passes numerous small beaches along the way. 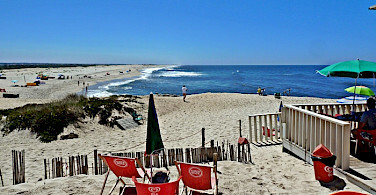 Places like Praia do Pedrogão, da Vieira and São Pedro de Moel are like oasis in the countryside of covered pine forest dunes. Please note that daily mileage may vary slightly between budget and superior options depending on the hotel locations. 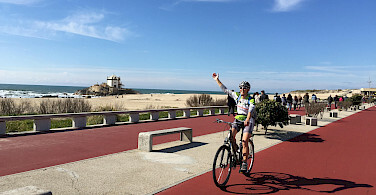 Wonderful bike tour along the coast of Portugal which included biking through forests and small towns. Having a pre-set GPS made it so much easier when traveling without a guide. Hotels (and breakfasts) were' top notch' and our luggage was always waiting when we arrived. Could easily do his trip all over again but more likely will consider a second one in Portugal (starting in Lisbon and heading south this time). 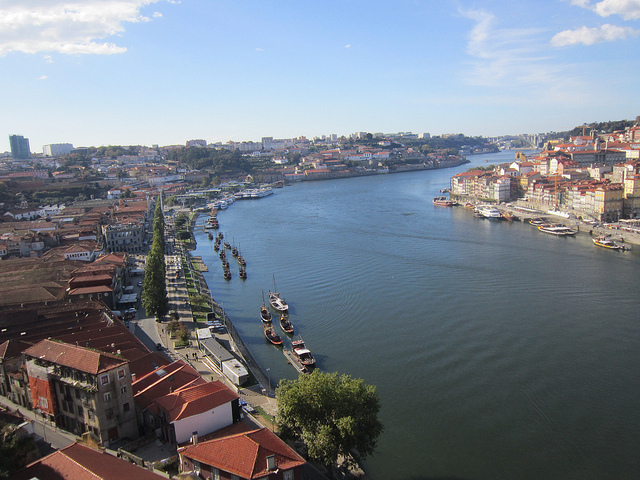 Not only is Portugal an incredibly beautiful country, but the people are friendly and radiate the relaxed atmosphere that makes touring even better. 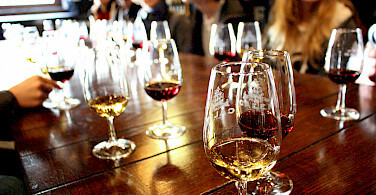 We were unfortunate to do this tour when the weather was unseasonably bad. It would be a much better experience with good weather and tail winds! However, the tour providers kept in touch and made the tour as good as it could be under the circumstances. Terrific time, everything came off without a hitch. Can hardly wait to do another. Tour operator got us from AP to hotel, fixed us up with two able bikes with all accessories, and provided thorough pre-ride instruction including, most-importantly, how-to operate the provided gps. But there is more: One of our ride days was stricken with particularly bad weather (30 km headwind with gusts to 50 km, dead against us). About 25 km in, exhausted, wind with rain now, tour operator tracks us down with his van and transports us to our next hotel. Great attention to detail, we couldn't be happier with the whole experience.